Home / News / The Backlash Against Pumpkin Spice Flavor Is Totally Sexist. Or Something. The Backlash Against Pumpkin Spice Flavor Is Totally Sexist. Or Something. Do you hate pumpkin spice lattes? Do you live in fear of the first day of autumn, when normal, average-looking big box retail stores and coffee shops become full-time pumpkin spice purveyors? Well, then, according to one writer at Vox, you might just hate women. The backlash against pumpkin spice, which flavors everything from coffee drinks to dog treats to deodorant, starting around the middle of August, is part anti-capitalist, Rebecca Jennings acknowledges, but it's mostly about our "contempt for women," coded into a "dismissal of trends that are coded as feminine." Jennings quotes an article from 2017 that claims, "[w]hen those foods blow up, we judge women for falling for the marketing or trying to jump on the bandwagon, and we assume that because they like something other women like, they don’t have minds of their own. And on top of that, women are asked to reckon with, consciously or unconsciously, the perceived psycho-sexual symbolism attached to seemingly innocuous foods." Refinery29 encouraged women to "reclaim" the pumpkin spice latte so as to defeat the sexist stereotypes liking them reinforces. "It's a beverage that has come to symbolize all that is supposedly reprehensible about my (young, white, female) demographic," Cait Munro whines. "It’s a stupid, silly stigma, and one deeply rooted in sexist double standards. And yet, somehow, it continues to plague me." "This general sense of disregard for the palettes of women channeled through the PSL has even begun to besmirch the fine season of autumn, just by sheer association," Munro continues. Anyway, as illogical as it seems that pumpkin spice hatred is sexist, it's also, apparently, factually inaccurate. According to Marketwatch, men are equal consumers of the PSL, and they actually prefer it to a regular latte. 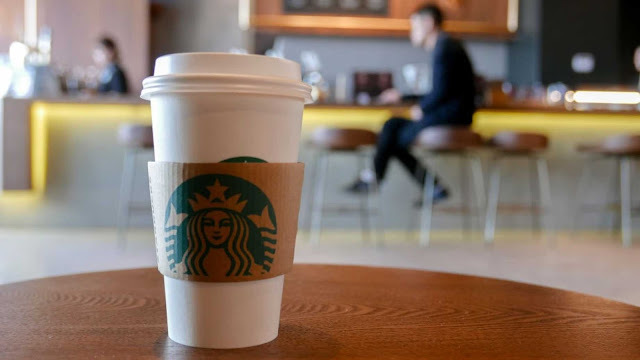 "Nearly half (47%) of pumpkin spice latte buyers are men, but just one-third (34%) of plain latte buyers are men, according to data supplied to MarketWatch by The NPD Group, a market research firm," the financial publication reports. The backlash, Marketwatch suggests, could be more easily traced to the latte's creeping introduction date. This year, Starbucks and Dunkin Donuts began selling pumpkin spice drinks in August, rather than in September. It also could be that pumpkin spice lattes are just gross, and that the "pumpkin spice" flavor really isn't "pumpkin" at all, but a terrifying chemical concoction that barely approximates a squash flavor.